A study recently came out that solar power is now the fastest growing source of new energy worldwide. The shift was brought on by lower prices and government policies. Now, we are seeing that 2/3s of new power added to the worldwide power grid is renewable energy. In the United States, over half of the 24,000 megawatts of electricity generation capacity added to the U.S. grid in 2016 came from renewable sources. Solar is growing faster than other renewables because it is getting cheaper and cheaper to produce. Renewable prices are becoming comparable to fossil fuels. Wind and solar are setting record low prices. "Renewables may well become even cheaper than fossil fuel alternatives [over the next five years]," said Paolo Frankl, head of the renewable energy division at the IEA. Coal was always the favorite energy fuel, but it is dirty. Natural gas now responsible for 7,700 MW of energy, and coal is down 17%. Dr. Fatih Birol, executive director of the IEA said, "What we are witnessing is the birth of a new era in solar photovoltaics. 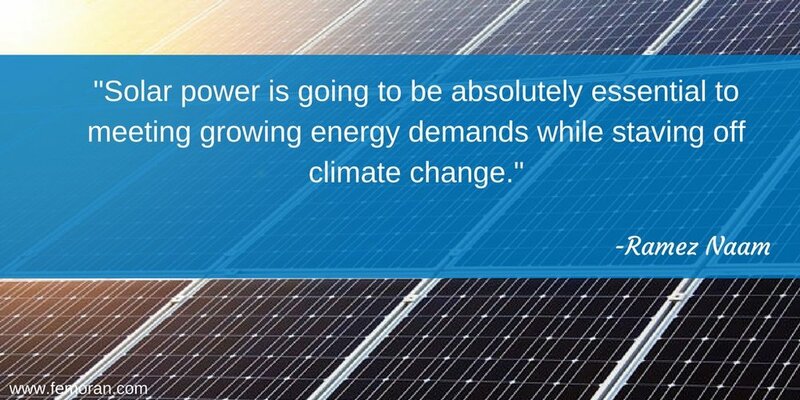 We expect that solar PV capacity growth will be higher than any other renewable technology up to 2022." On a recently released jobs report, solar workers were one of the top jobs for outlook. The U.S. Department of Energy said that workers devoted to solar development, installation, and maintenance were 43% of the workforce for electric power generation. From 2015 to 2016, solar was the highest growing job in power with 300,192 employees in 2015 and 373,807 employees in 2016. In 2017, it's expected to grow another 7%. If you're looking for a career change, solar might be the route to go. On the construction side, power generation was the most difficult to hire for with insufficient qualifications and lack of experience. According to Paris-based International Energy Agency, "About half a million solar panels were installed every day around the world last year." Perhaps it's time to train for a new career.